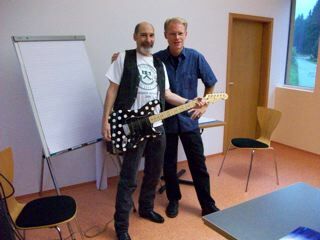 The dynamic blues duo of Adam Gussow (harmonica) and Charlie Hilbert (guitar), captured in concert at the Mundharmonika-live Festival in Klingenthal, Germany in 2008. 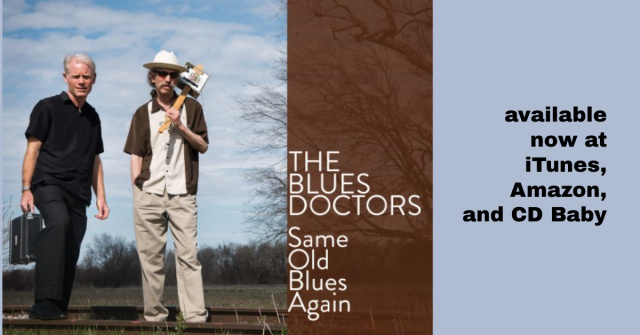 The ten tracks include classics by Big Bill Broonzy and Muddy Waters as well as more contemporary jazz and funk stylings by Herbie Hancock and The Meters. Also included is a long (14+ minute) bonus track featuring the legendary New York harmonica master Nat Riddles going head to head with Gussow in 1990 at a Richmond, VA jam session on Big Walter Horton's "Have a Good Time."